Rs.300 Darshan tickets are also available at Tirupati Head Post Office. A devotee should visit Head Post office in person for Rs.300 Darshan Ticket. Tirupati Head Post office is located near Gangamma Temple. It is hardly half a Km from Tirupati Central Bus station. 2) Rs.300 Darshan Ticket Counter is available at Sri Vari Sannidhi, which is on the way to Kapila Theertham from Bus Station.. There is two Timings, one is Reporting Time and second one is Darshan Time. Darshan Time will be +1 hour to Reporting time. 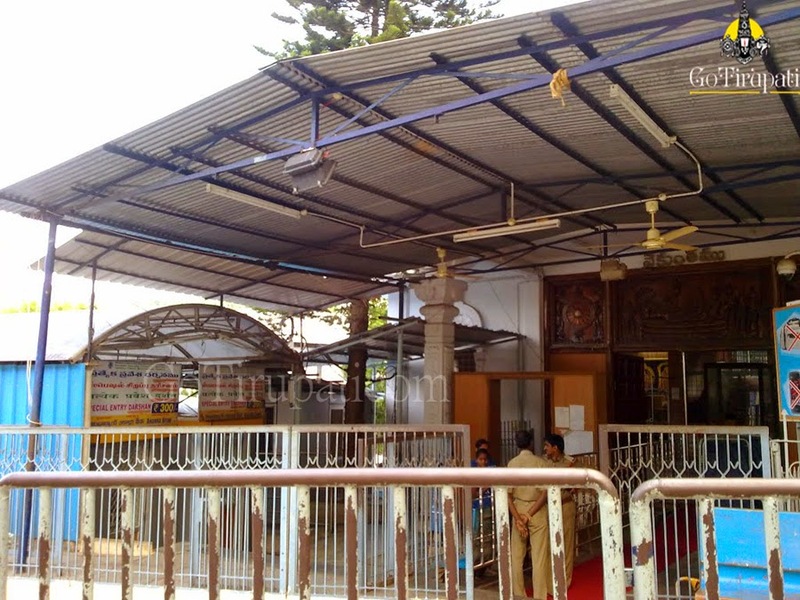 Pilgrim should report at TB Cottage Entrance for Darshan. And also note that the Darshan Time is the actual time when a devotee is allowed for Darshan Line. Darshan usually takes 1 hour 30 mins -2 hours. T.T.D is providing additional Laddu Tokens to the Devotees in Vaikuntam Queue Line. Devotee can avail this benefit by paying Rs.25 for each Laddu token. In total a devotee can get four Laddus from Laddu Counter. 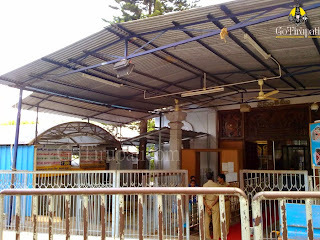 Rs.300 Darshan ticket is also available onilne at ttdsevaonline.com. 1) If you are purchasing Rs.300 Darshan ticket for 11 a.m and for which Darshan time is 12 p.m, then the devotee is allowed till 12 p.m (Darshan Time as mentioned in the ticket). 3) And also note that Rs.300 Darshan ticket is non transferable. 4) For Rs.300 Darshan Ticket,normal pant and Shirt, Jeans and T-shirt. And for Ladies Chudidhar, Saree is allowed. Arjitha Seva Dress code is different and it won't apply from Rs.300 Darshan Ticket. My Father and Mother wants to go to darshan with my child(8 months) infant. Will they allow their grand child for the Infant Darshan Entry at tirumala with them. Infant entry is meant for infant and parents, relatives will not be considered for this special entrance unless they are senior citizens. Please leave your comments at http;//gotirupati.com so that it would be easy for me to reply in time.